The Nevada Veteran's Coalition was originally chartered July 1992 as the Veterans Memorial Cemetery Support Group of Northern Nevada. We will continue to serve in the same spirit and with the same dedication as intended by our founder, David E. Parsons. We are a group of Veterans and non-Veterans, whose main focus is to support the Northern Nevada Veterans Memorial Cemetery (NNVMC). 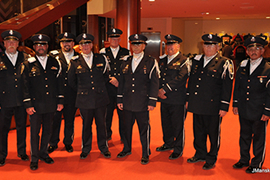 It is not a requirement to be a veteran to be part of the Nevada Veterans Coalition or Honor Guard. Our meetings are on the 2nd Thursday of each month at 2PM in the admin office of NNVMC. Drop in and see what we are all about. 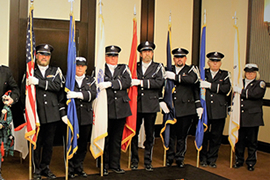 To obtain the services of the Honor Guard for the funeral or memorial of your loved one at NNVMC, please call 775-575-6842. 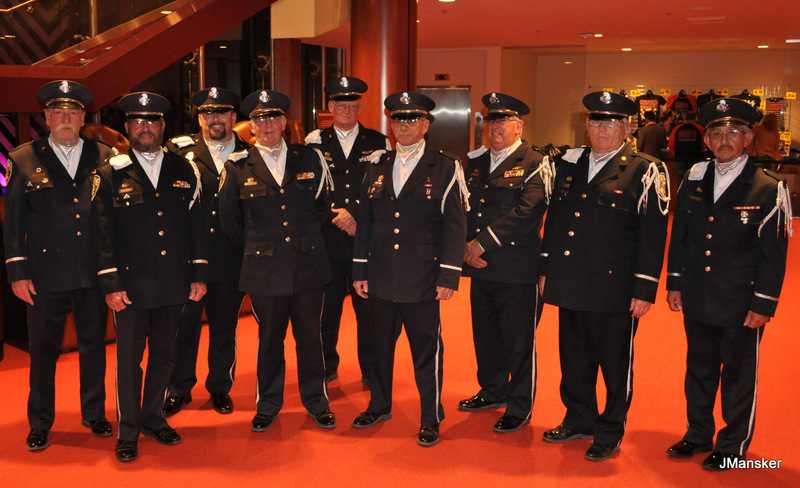 Along with our regular duties performing full military honors for veterans' interment services, we also perform monthly services for unaccompanied veterans. We invite the public to come join us. This service is held on the 4th Thursday of the month at 3:00 PM; with the exception of November and December due to holidays. The Coalition now has a new name. After 25 years of Honoring Veterans in Northern Nevada, we now have expanded our many services to include ALL of Nevada. 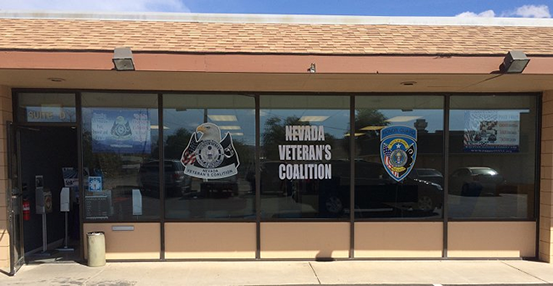 We are now officially the Nevada Veteran's Coalition. We will be transitioning this new name and logo into all of our operations, over the next few months. On to the next 25 years! This is our new office. 140 East Main Street Suite D, Fernley, Nevada 89408. Typically there is someone there between 10AM and 3PM Monday through Friday. Our random scheduling of memorial services may leave the office empty from time to time, but you can call 1-775-575-6842 to find out when someone will be available. 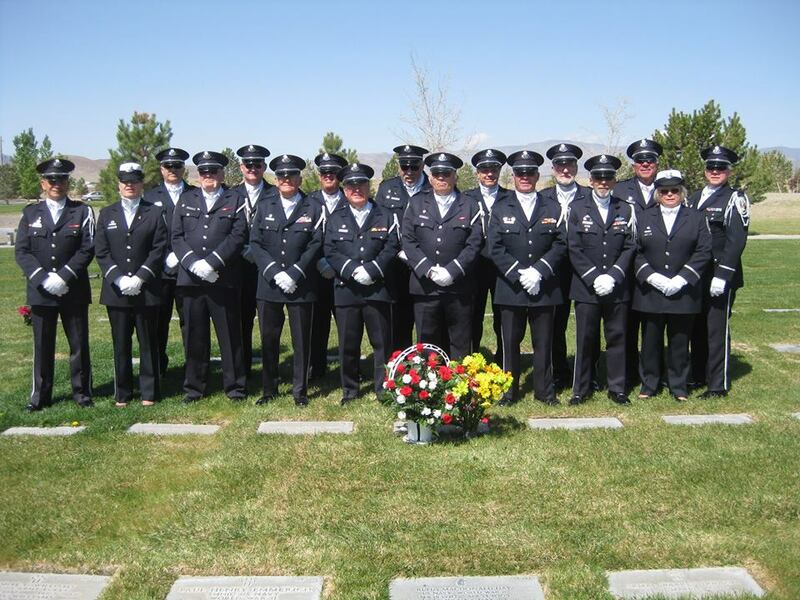 Our mission is to provide support to the Northern Nevada Veteran's Memorial Cemetery by organizing fund raising events, special site improvements, emergency equipment and supplies, volunteer labor and veterans awareness programs. Additional missions of this organization will include special events promoting public awareness in regards to the purpose of the facility and the organization of any commemorative event ceremonies. The Northern Nevada Veteran's Memorial Cemetery is a state owned and operated Veteran's only cemetery. The cemetery is funded in part by the Federal Cemetery Grants System, and operates within the guidelines set forth in the National Cemetery Rules and Regulations. The Nevada Veteran's Coalition will remain open to any suggestions or input regarding Veteran activities involving the cemetery. All Coalition proposals will be brought before the Northern Nevada Veteran's Memorial Cemetery Advisory Committee, the Northern Nevada Veteran's Memorial Cemetery Superintendant, and the Executive Director of the Nevada Department of Veteran's Services (NDVS) for final approval. 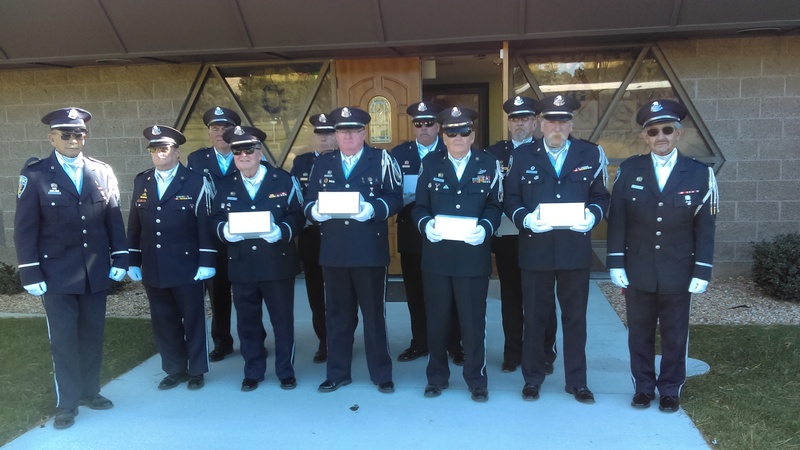 We provide professional style Honor Guard Services to any veteran being interred at the Northern Nevada Veterans Memorial Cemetery. We are invited several times a year to post the colors at business openings, school presentations, and various special events. 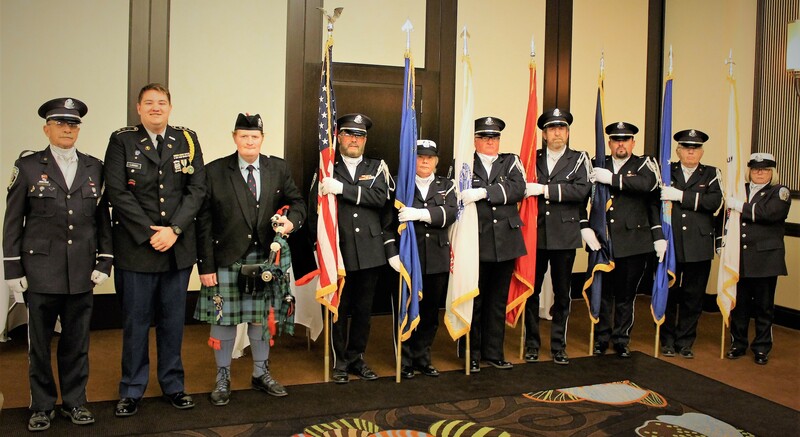 We conduct various fundraisers; whether it's for improvements to the cemetery, memorial installations, special event support or Wreaths Across America. Our annual Memorial Day program is one of the finest in the State. Denise [the NVC bus] proudly leads the parade down main street and to the Out of Town park on July 4th every year. The NVC proudly coordinates and hosts the 9/11 ceremony each year at the Out of Twon Park. We coordinate and fundraise for the annual Wreaths Across America program held each year in December. 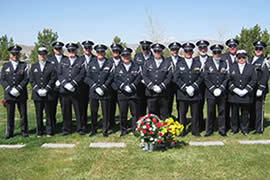 To honor the veterans of the PAST, we focus on the state owned, Northern Nevada Veterans Memorial Cemetery. The Cemetery is funded in part by the Federal Cemetery Grants Program and operates within those guidelines. The Nevada Veteran's Coalition provides support for special site improvements, emergency equipment and supplies and voluntary labor. 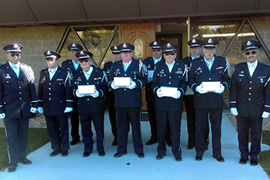 We provide professional style Honor Guard Services to any veteran being interred here. Our once a month Service for the Unaccompanied provides full military style honors to Veterans who, for whatever reason, have no family representation. The NVC stands in for those families. We also spearhead and coordinate the annual Memorial Day Ceremony held at the NNVMC. We honor the FUTURE by providing our communities with an understanding of the contributions made by our Veterans to this country. We do this by speaking to various civic organizations and instilling in our young people the importance of patriotism and their own lives. We coordinate and fundraise for the annual Wreaths Across America Program held each year in December. We also enlist the communities help [especially the children] in placing the wreaths on the graves of the Veterans again instilling a sense of patriotism in our young.